Posted 7/16/2018 1:52pm by Andrea Tomlinson. Eat Fresher Fish. Support Our Local Fishing Industry. WELCOME to Week 14 of our Community Supported Fishery (CSF) Spring/Summer Session. 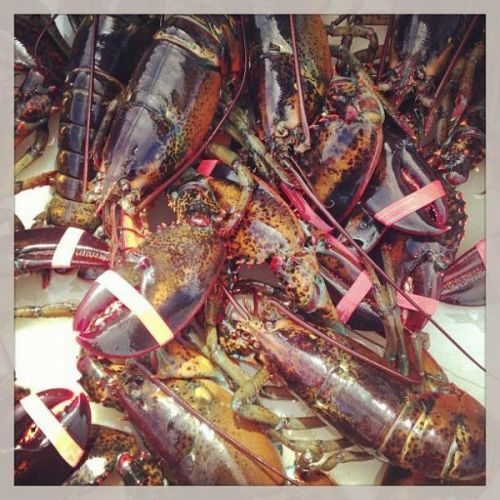 The Catch of the Week for Fish only Members is Cod and for Fish and Lobster members, Lobster. Once our signature New England fish, the Codfish is now only caught in small numbers by our NH Fleet. 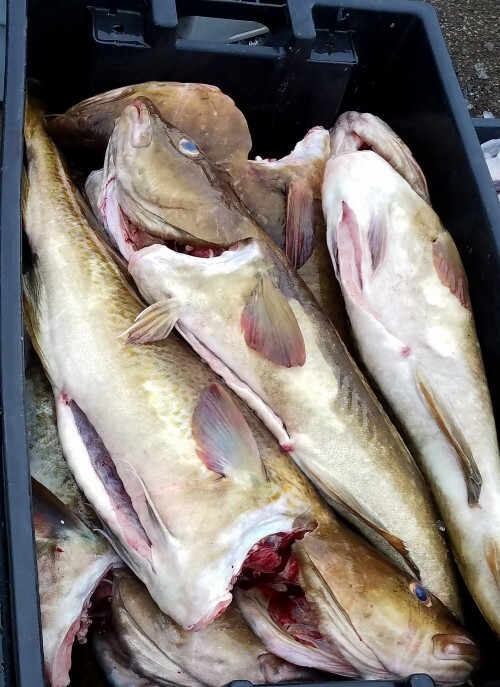 Cod is highly restricted in our NH waters in an effort by the National Marine Fisheries Service (NMFS) to bring back the once thriving population we once knew. We have two more weeks of our Spring/Summer Session. Our Fall Session will run from August 14-December 1! Sign ups will be enabled tomorrow. We will email you with the link! Week 14 is our final Lobster Week for the Session. On Lobster weeks, you receive LOBSTERS INSTEAD OF FISH. We will also have Lobster Add ons for everyone. If you would like Fish with your lobsters, please utilize our Additional Fish option here. Lobsters are starting to shed, so they will be a mix of Softshell and Hardshell. We will have a different Shellfish Add on available for the remaining 4 weeks of our Summer Session! Here is the schedule. Shellfish Add ons orders are done the week before your delivery week and deadline to order is Sunday night, by midnight. Click here to order. Add ons are available to order on Tuesdays for the following week! WEEK 15 Scallops, by the 1lb (12-20 #/lb) NEXT WEEK! Start ordering Tuesday, July 17! You can "hold" your share any week within the Session that you will not be available to pick up OR any week you do not care for the Catch of the Week. You do your holds through our Member Login system here. You cannot hold your share and still pick up Add ons! Our software system doesn't understand! So, if you order an Add on, you also have to take the Catch of the Week! Please note, when you pick up a "double" share, you will be getting a double of your share size. For example: 1lb share size picks up 2-1 lb bags, 1/2lb share size gets 2-1/2lb bags. It's really important we get that one right, so everyone gets the correct shares each week! You can also choose to do a Temporary Pick up Location change, any week you would like to pick up your share at any of our other 23 Pick up Locations. You can do that here, simply choose "Change Pick up Location" from the drop down menu, under the box marked Action. The Catch of the Week this week is Atlantic Cod. Get your Additional Cod or our weekly Haddock here, please order by tonight at 12pm! Orders are available in 1lb bags and discounted on orders over 3lbs! If you haven't already done so, please send us a check for your balance to: NHCS, 1 Peirce Island Rd, Portsmouth, NH 03801. If you send a check, it saves us the 3% charge from Paypal! If you choose to pay online with a credit or debit card, do it here. Please do not feel guilty eating this Cod! 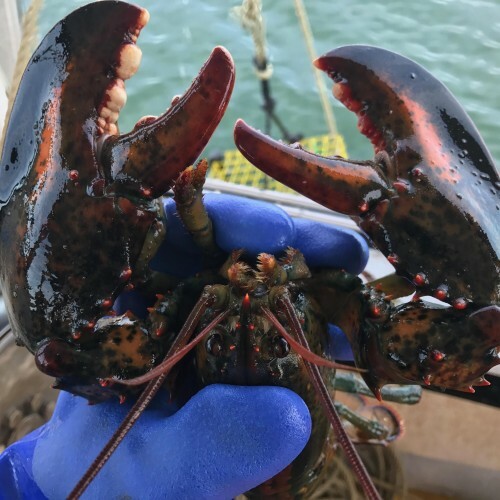 This is the second time we have offered it all Season, due to it's inability to be caught in large numbers by our Dayboat Fishermen! Cod is highly restricted and regulated in New England by the National Marine Fishing Service (NMFS). Because of these strict enforcements, we are are starting to see a recovery in the Gulf of Maine Cod populations. Cod became regionally popular as early as the 1600's here in New England. However, over the past hundred years, there has been an international demand for all forms of cod, including the age old "salted cod", which keeps for up to a year and is used widely all over the world in a variety of cuisines. With this increased demand in cod and an ever increasing world population, came a severely overfished and poorly regulated fishery. Additionally, is has been proven that many cod stocks are migrating further north due to the rapid rise in temperature of the Gulf of Maine over the past two decades. 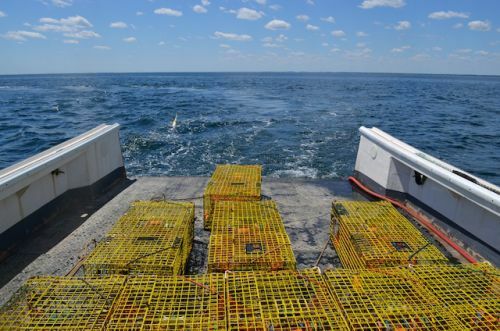 For these reasons, since the year 2000, cod stocks in some areas of the Gulf of Maine have been on a dramatic decline and this has redefined the fishing industry in New England as a whole. Our once thriving NH fishing fleet is now down to no more than 9 active boats, throughout the entire Seacoast, largely due to these Cod cuts! Most of the cod you see for sale in your local grocery store has been coming in frozen from Iceland and Norway, as cod migrate north and flourish in those waters, with less restrictive limitations on the fishery. Our Fishermen this week are Kurtis Lang, Captain of the F/V Alanna Renee, Portsmouth and Jamie Hayward, Captain of F/V Heidi & Elisabeth, Portsmouth. Both are son's of Fishermen and carrying on the tradition! These two boats are saving all their Cod for us this week, which is now considered a by catch to the Monk fishing industry! WEEKLY RECIPE CONTEST FOR MEMBERS-WIN FREE FISH!! In case you missed it, we have been running a Weekly Recipe Contest on our Facebook Page each week. Just click here and post your recipe and picture on our page and you could win a free 1lb of Fish! 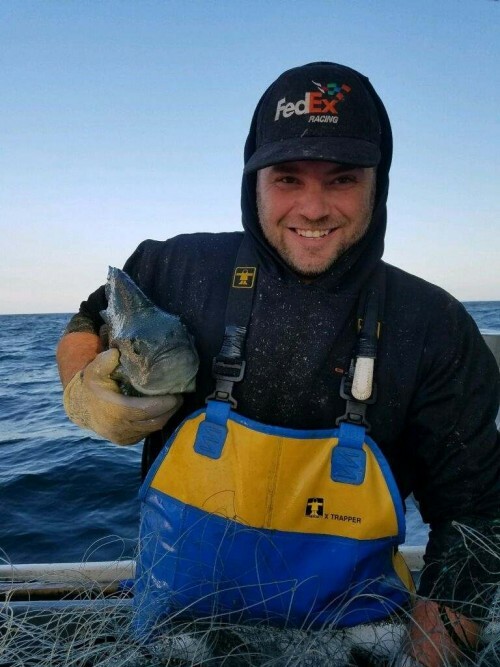 Our former Delivery Driver and now official Assistant Manager, Kendall Young has given up the driving to come on board and help with administration, Member Management and coordinating our Restaurant Supported Fishery. 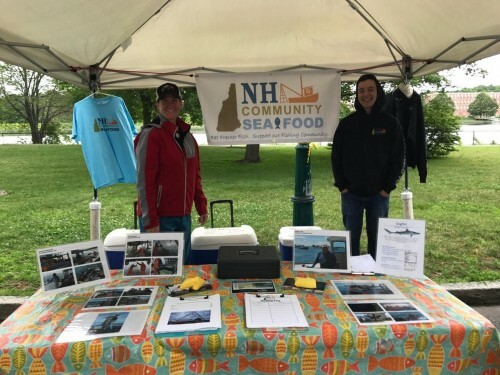 Please email kendall@nhcommunityseafood.com with any and all Membership questions pertaining to your account. In addition to our Community Supported Fishery, we also run a thriving Restaurant Supported Fishery (RSF). Our RSF is supply driven and operates on the old adage of the "Catch of the Week". You can read all about it on our website. The following restaurants and retail stores participate in our Restaurant Supported Fishery (RSF) program. Through their creative talents, they make our delicious local fish taste even better and available to a wider audience! Please support them by eating and shopping there frequently. And let them know you support local, sustainable fish! We also enjoy a partnership with Three River Farmers Alliance. They help pair our local seafood with chefs in the Seacoast region with a desire for locally sourced foods. Thank you for your support for our local fishing community! Our NH Fishing Fleet remains small yet powerful! Each time we purchase from them, we are helping out! Thank you for helping to keep our Fishermen and Lobstermen afloat! Enjoy your delicious Cod this week or your Lobsters or both! 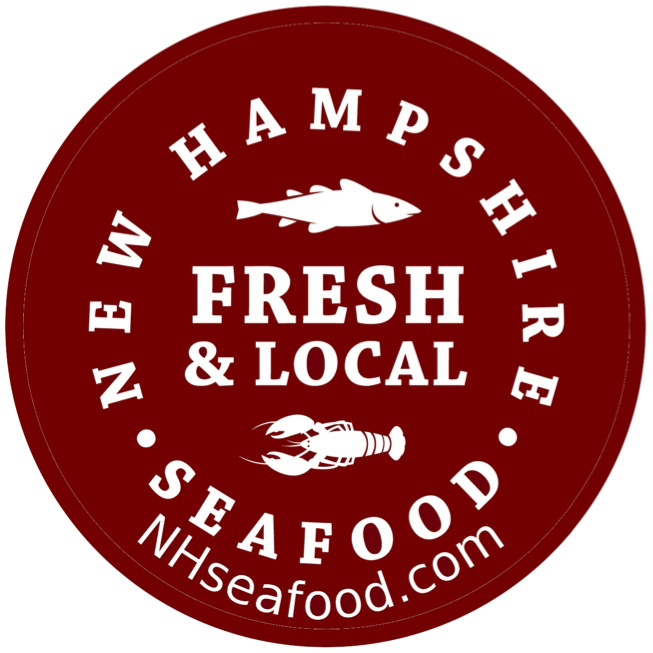 All content property of New Hampshire Community Seafood. 1 Peirce Island Road, Portsmouth, NH 03801.